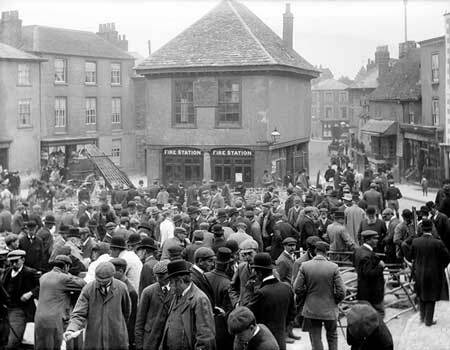 Faringdon through history - Faringdon Community Website. There have been many changes in the range and numbers of shops in Faringdon over the years. You can see where shops were located on Past Businesses. This document 'Notes on the Buildings of Great Faringdon' was written by Gerald Taylor in 2000. Information about important buildings and housing is set in context of the growth of Faringdon. 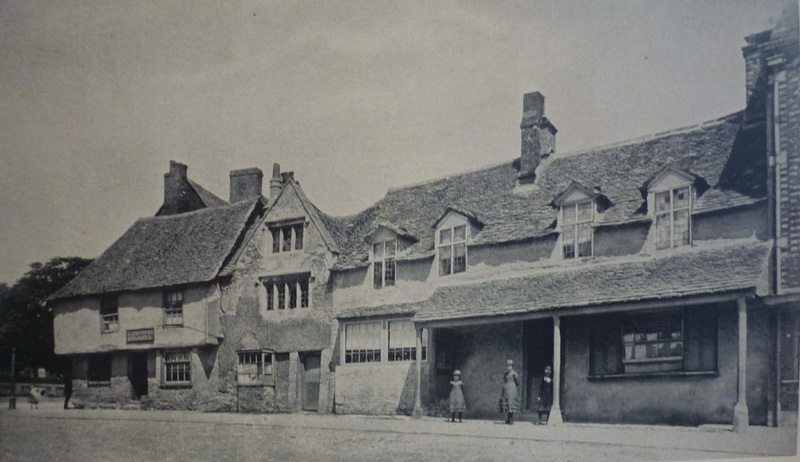 Around 1900 there were 19 inns in Faringdon. By 2006 there were 8. Take a humorous journey around Faringdon's pubs, and see photos of some closed and those remaining. Find out more on the dead pubs website. In World War II the threat of a German invasion required defences inland. The German intention was to move rapidly inland and to attempt to capture the Thames bridges. In June 1940 Faringdon was identified to be a 'Vital Point' and designated as an 'Anti-Tank Island' (a defensive strongpoint) comprising road blocks, pill boxes, fortified houses and loopholed walls. 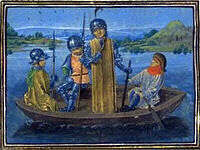 The defence system of Faringdon was part of 'Stop Line Red' which extended along the River Thames. Radcot Bridge was a major defensive feature located some 2 miles to the north on the A4095. 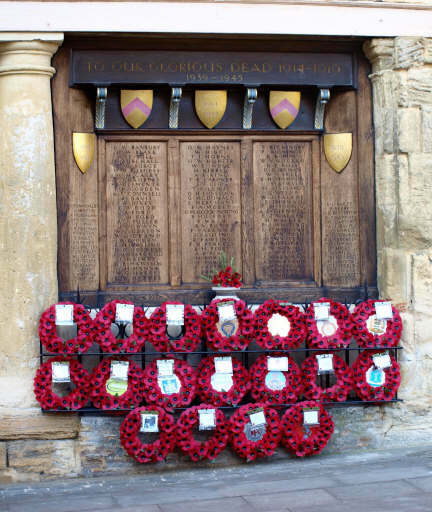 Find out about Faringdon's Defence Role in WW2​, and WW2 memorial records for each person who died. As part of the Old Town Hall in the Market Square it lists the names of those who died in both World Wars. Since the early part of 21st century, new streets in Faringdon have been taken from the memorial list. Find out about the History of Faringdon War memorial in news cuttings. (2.6mb) Collated by Dr Mike Wise​​ and WW1 and WW2 memorial records for each of those who died. The Female School of Industry provided pauper children with training,mostly in domestic and agricultural skills. It was in London St near the Stanford Road turn. 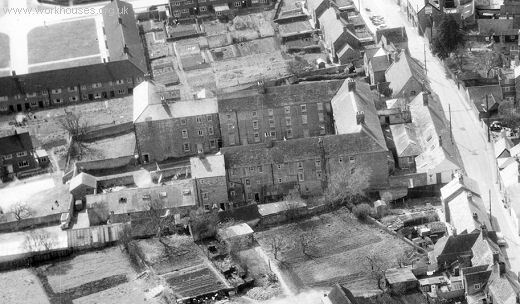 On the site in Ferndale Street where Brackendale sheltered accommodation now is, there used to stand the Faringdon Workhouse. Many will remember the rather grim building which stood there. The route goes up Southampton Street, past the tennis courts and then goes right to Rogers Concrete, Coles Pits, Fernham, Uffington, the Blowing Stone etc and on to Hungerford, where the coach roads started again. But the drovers did not like sharing roads with wheeled traffic, so beyond Hungerford they probably went on very minor roads or paths. The main Bristol service ran to Colnbrook, Maidehead, Henley, Dorchester, Abington, Faringdon, Margret. 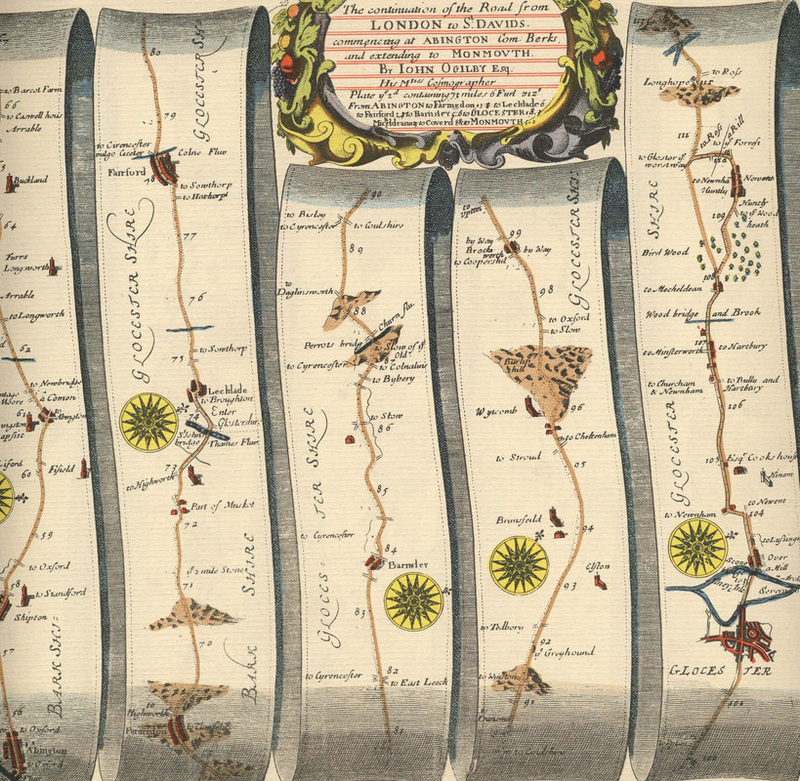 Unfortunately Faringdon is at the bottom of the page. Note that Buscot seems to be listed as Musket. At the beginning of the Civil War between the forces of Parliament and King Charles, the King had to base himself on Oxford, surrounding the city with a circle of fortified towns which included Faringdon. The market town of Faringdon was an important five way road junction with Radcot Bridge over the Thames to the north, the main London coach road to the east via Abingdon, Southampton Street to the south and then going west the main London coach roads to Gloucester via Lechlade and to St Annes via Highworth. Blessed with a plentiful supply of clean running spring water throughout the year, Faringdon was a vibrant market town, strategically vital for the western defences for the King at Oxford. Cromwell quartered himself on the slopes of Folly Hill on 29th April 1645. He called upon the Royalist's Commander Colonel Lisle, who had a strong defended position at Faringdon House and All Saints Church, to surrender, but to no avail. 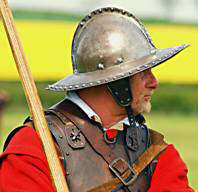 The muster roles for Rawdon's Regiment defending Faringdon in 1646 still exist. The roles show that 48% of Rawdon's combat strength in Faringdon were men, 10% women in support and 42% "Posemen". A Poseman was a woman dressed as a soldier and normally used in the musket block as a sniper. 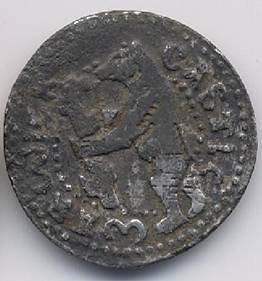 The Posemen in Rawdon's were armed with long 28 bore muskets which were accurate to about 120 yards, compared with the men's 10 bore muskets which fired a heavier ball, but only accurately to about 40 yards. Rawdon appreciated that for siege defence he needed long range snipers to defend the ramparts, recruiting a large number of female Posemen. So Faringdon was defended actually by a force made up of 52% women - the deadly majority who saw off Cromwell with heavy casualties. The musket ball on display in All Saints' Church is of 28 bore calibre, so would have been fired by a female Poseman. The Cistercian Abbey was in fact built at Beaulieu. The monks retained a cell here (at Wyke. North of Faringdon between the Radcot Road and Grove Wood) and they owned the Great Barn at Great Coxwell. Ferendon Market: The Shire of Berkshire is ordered to hold a market in Ferendun on Mondays so long as this does not cause nuisance to surrounding markets. FARINGDON 4288 1957. Borough 1225 (BF, supplement, p. 61). 1334 Subsidy £155.97. Market town c.1600 (Everitt, p. 473). See also VCH Berkshire, iv, p. 492. 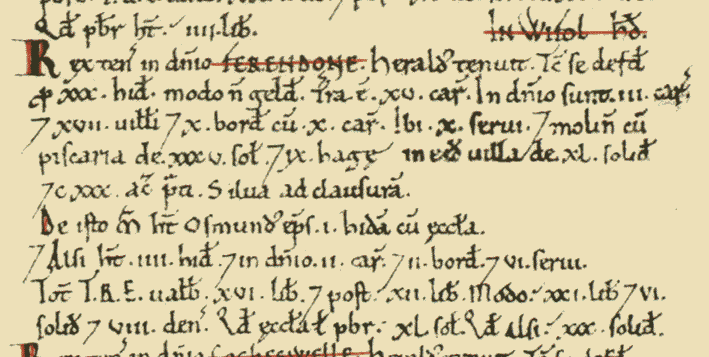 M (Prescriptive: borough) recorded 7 Mar 1218, mercatum. On 7 Mar 1218, K Hen III ordered the sh of Berkshire to ensure that the market was henceforth held on Mon (RLC, i, p. 354). This was probably an order to change the day of an existing market; although the previous day of the market was not stated, it was very likely Sun. 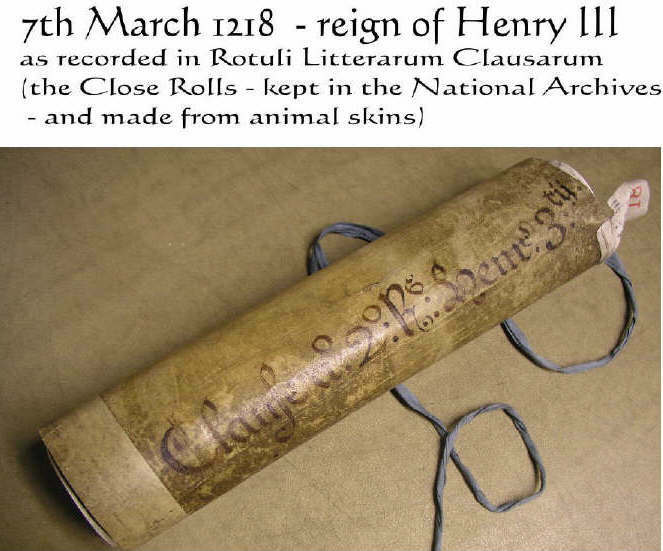 On 18 Feb 1313, it was stated that whereas the A and M of Beaulieu had from a long time past had by grant of the king’s predecessors a Mon market at their manor, the A, M and burgesses of the town had petitioned that the day be changed to Tues, which the king granted in lieu (CChR, 1300–26, p. 203). Another licence for a change to Tues was obtained in 1594 (VCH Berkshire, iv, p. 492). F (Letter Close) vf, Luke the Evangelist (18 Oct); feria gr 26 Jan 1222, by K Hen III to A of Beaulieu. To be held at the manor until the king came of age (RLC, i, p. 486). 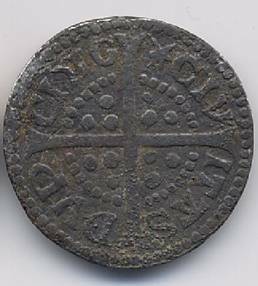 Granted by K Hen III to the A and M of Beaulieu on 20 Sept 1227 (CChR, 1226–57, p. 60). F (Prescriptive) v, Trinity Sunday (Easter dep); recorded 1260 (VCH Berkshire, iv, p. 492). Faringdon was heavily fought over in 1144 when King Stephen attacked Queen Matilda's fort on Folly Hill, capturing it after a 3 day battle. There were cavalry skirmishes later during the Wars of the Roses at Radcot Bridge, 1387, with Faringdon opting for the Red Rose side - look in the Crown Hotel's downstairs bar for the red rosed crown in the window, glass which by definition predates the Battle of Bosworth in 1485, when the Crown merged red with white. Displayed in a bar below street level this surely signifies one of current Oxfordshire's oldest political statements - Red Here, go White Somewhere Else! Total tax assessed: 30 exemption units (very large). Households: 17 villagers. 12 smallholders. 16 slaves.